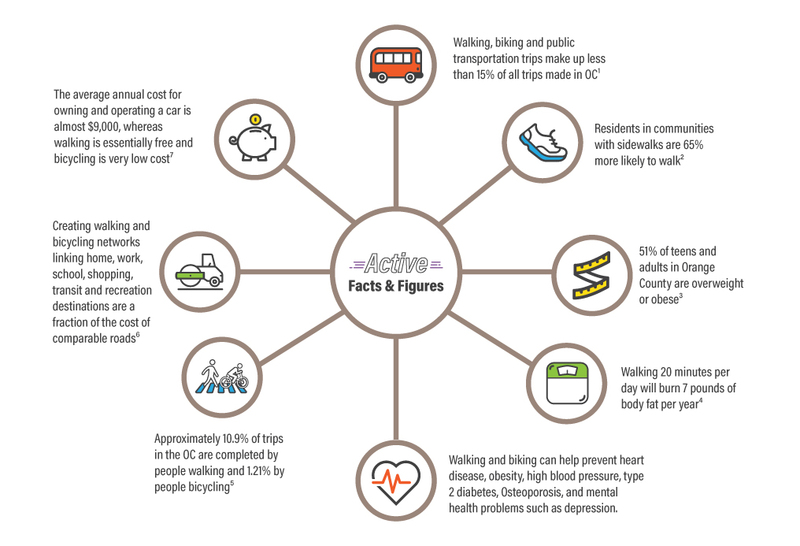 Active transportation is any form of human-powered transportation that promotes physical activity; this includes: walking, biking, skating, using a wheelchair, and accessing public transportation. If you do any of these to get to work, school, shopping centers, or anywhere else you travel to and from, then you participate in active transportation. Using active modes of transportation is important for a few reasons: it increases routine physical activity, reduces our carbon emissions, and has an overall improvement on people’s health, happiness, and quality of life.